In the year 2000, Godrej collaborated with BrahMos, a Supersonic Cruise Missile, to deliver Air Frame Assemblies. And now 17 years later Godrej has completed its production of its 100th BrahMos Air Frame Assembly. They continued the company’s tradition of contributing toward building India’s defense capabilities. On this occasion, Mr. Sudhir Mishra and Chairman and Managing Director of Godrej & Boyce Mr. Jamshed N. Godrej congratulated Godrej Aerospace for winning the order of 100 units of Air launched version of BrahMos Missile and starting its production. BrahMos is a 2-stage missile with a solid propellant booster engine at first stage and liquid ramjet at the second stage. It has Stealth technology and super guidance system with advanced embedded software. The missile has a flight range of up to 290-km with supersonic speed. Godrej Aerospace, which is a part of Godrej & Boyce Group of Company, handed over the 100th set of airframe assemblies to BrahMos Aerospace Pvt. Ltd. (BAPL) for use in its missile systems. It operates on “Fire and Forgets Principle” adopting varieties of flights on its way to the target. It carries a conventional warhead weighing 200-300 kgs. BrahMos Missile can be launched from Submarine, aircrafts, ships or land. It is the fastest Supersonic Cruise Missile in the world. It can be used for a precision strike to destroy targets on land and sea. This BrahMos missile has the similar configuration for land, marine bodies, sub-sea platforms and uses a TLC (Transport Launch Canister) for transportation, launching, and storage requirements. It can cruise at an altitude as high as 15 km and as low as 10 m above the ground and maintains supersonic speed throughout the duration of its flight. BrahMos missile is extremely versatile and can be launched from positions on land, in air or water. The first successful launch of a BrahMos missile took place on June 12th, 2001 from a land-based launcher at the interim test range off the Chandipur coast of Orissa. This company was established in 1897 and was incorporated with limited liability on 3rd March 1932. Since then the company is controlled by Godrej Family, Mumbai. Godrej and Boyce began their journey with the manufacturing of locks and then extending their business by the manufacturing of the number of things including products for institutions, products for industries and many more. This company has its Headquarter in Pirojshanagar at Vikhroli, Mumbai and operates in all major global markets. It operates across 14 diverse businesses. Its shares are not listed on any Stock Exchange. About ¼ of the Company’s Share Capital is held by Pirojsha Godrej Foundation. 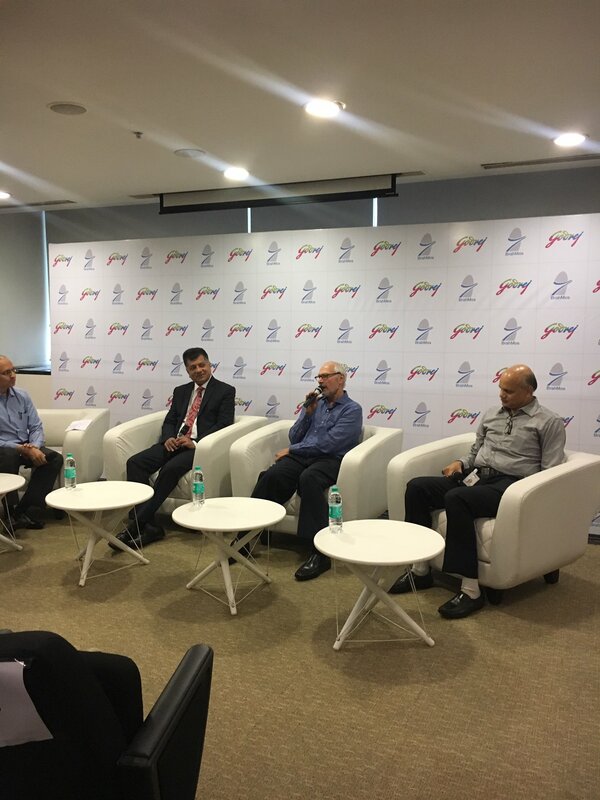 He appreciated the contribution of Godrej’s vendors in his endeavor. He said the designing part for the newer version of the BrahMos would be complete by 2019 and the delivery will start by 2022. He said Godrej and BrahMos have been partners for 17 long years. So was a proud moment for Godrej, BrahMos, and India. Godrej over the years has made the immense contribution to BrahMos and Indian Defence Sector. Further, he said, “I am confident our partnership will continue to set new benchmarks and serve as inspirational role model for indigenous development and production of sophisticated weapon systems.” The delivery of the 100th set of combat worthy missile airframes marks another milestone in our long relationship. The BrahMos missile is a secret universal supersonic cruise missile launching from ships, submarines, aircraft or any other land-based platforms. He said, besides the main airframe, Godrej also supplies control surfaces and nose cap. Godrej also supplies the Mobile Autonomous Launchers, Missile Replenishing Vehicles for the land launched versions. As we all know that Godrej Aerospace has been associated with BrahMos Programme since its establishment in 2001. Godrej is a dominant contributor manufacturing most of the metallic subsystems in the BrahMos missile. I feed pride reading about bhramos. I am sure you had a great time at the event. I don’t know much about the safety / military side and it is nice to learn about it. Informative post this one as i heard about Brahmos and never know the role of Godrej.. So after reading, I thought well I knew so less of Brahmos, thanks for lifting up my knowledge. Thanx for the detailed info about Brahmos, I never knew this about it. So proud of this. Seems like you had a great time. I feel so proud as well as safe after reading your post. Thanks for sharing it. 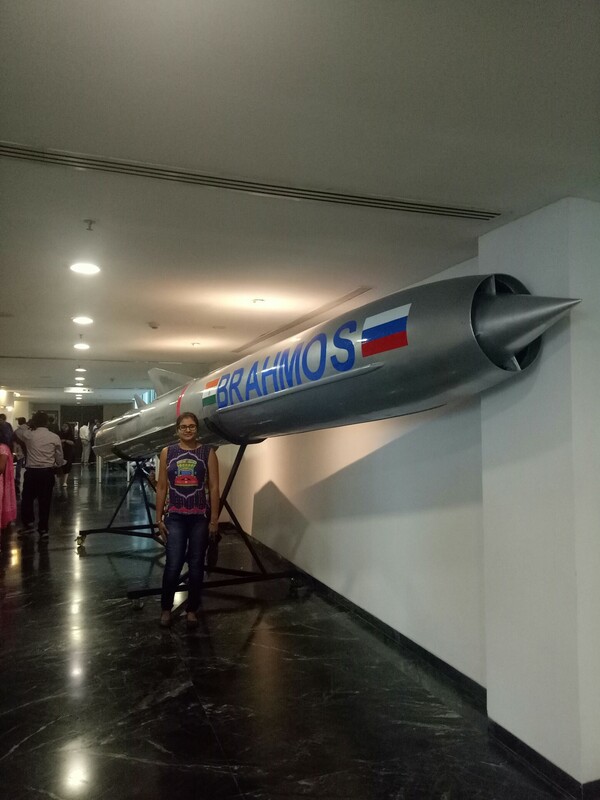 I am sure this was a very informative event and you had a great time there.It’s such a nice thing to know about how Brahmos is securing the nation so well. This post was off beat yet intriguing at the same time. Thanks for such an informative post. Very informative post as I didn’t know that Godrej was associated with Brahmos. It is so nice of them for contributing to Indian defense! This is very much informative.. I had no idea about all these ..it is appropriated that Godrej is also associated with Brohmos ..
Never knew about Godrej being into military thing, such an informative post, thanks for sharing!